Runbow is a platform racer with a unique art style and a never-before seen colour mechanic that will keep you running back for more. Up to nine players can race their way to victory, online or locally. Platforms and obstacles appear and disappear as the background colour changes, so if you can’t see something, it doesn’t exist. 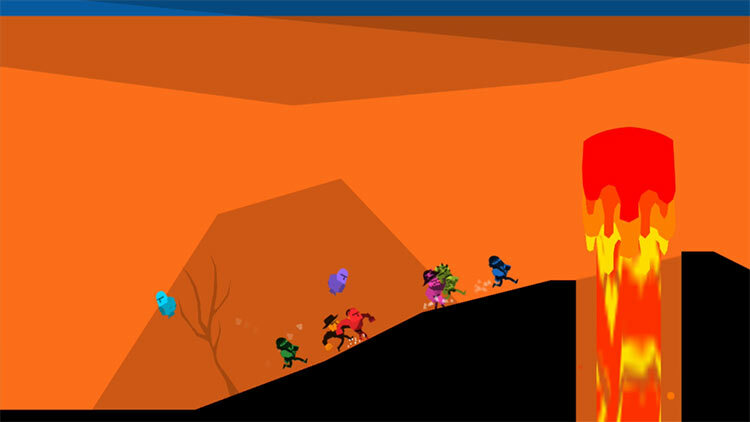 Whether you're playing alone or with friends, Runbow is fast, frantic, and a lot of fun. 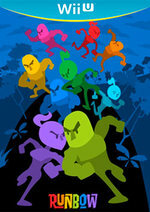 Players can race against each other in The Runbow Run, or go head to head in a number of VS. modes including Last Man Standing, Competitive Co-Op, King of the Hill, and Pinball to name a few. 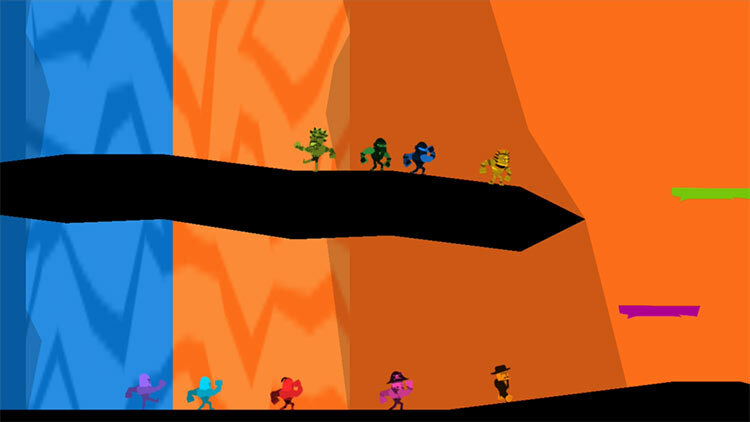 Using the Wii U GamePad, players can also race against one malevolent ColourMaster who controls the colours and the obstacles in the level. Our toughest game mode is The Bowhemoth, a 30+ minute platforming challenge that will put the patience and skill of even the toughest players to the test. Runbow is one of the most colorful entries to the local multiplayer gaming world and it also proves to be one of the best, with numerous game modes, simple mechanics, and a variety of ways to anger your friends. Even for someone as inept at platformers as I am, Runbow is still a lot of fun. The bite-sized stages really help keep the game moving, even when I'm performing poorly, and the aesthetic is incredibly easy on the eyes. There's some zany good times to be had with the multiplayer as well, and I'm sure Runbow will soon find its way into the rotation as a go-to party game in my household. The best way to describe Runbow is that it feels like the kind of idea that would’ve made for a creative series of one or two levels in a Mario game, but here that’s the entire game from start to finish with little variation. I can’t stress enough that you probably just shouldn’t bother with Runbow unless you have at least three or four friends with whom to play with on a regular basis. 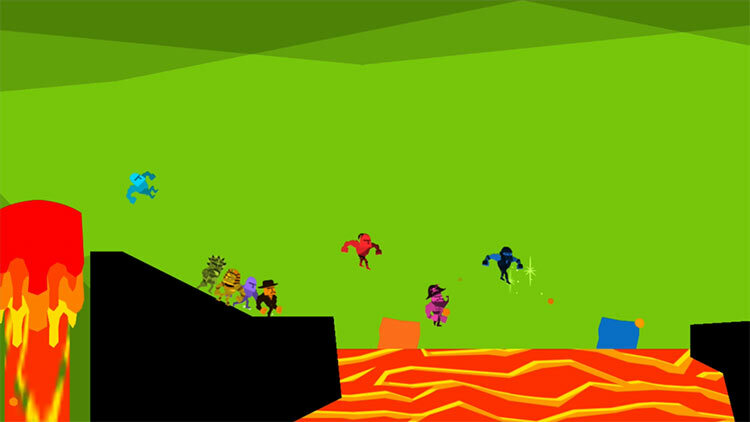 Runbow is a game about playing spoiler. It's about you knocking your friend into a wall of spikes just as they're about to capture the cup. It's about a hostile environment trolling you as the next cascading color rips the platform you were aiming for from underneath you. But most of all, Runbow is about laughing at the colorful chaos on screen, regardless if you're on the giving or receiving end. 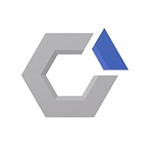 It’s certainly worthy of your attention if you frequently have guests in your home looking to play some fun new video games, but don’t expect it to boast the same kind of longevity as its local multiplayer contemporaries, especially on a console that already boasts the likes of Mario Kart 8, Super Mario 3D World, Nintendo Land, and Super Smash Bros. The only complaints I do have are the fact that sometimes with a lot of people playing, it was easy for me to lose track of my character. This can be due to both my choice in color for my character as well as the camera being just a bit too far away from the action. The other issue that hit hard a few times was the fact that the game hitched up on me in some instances. ...Runbow is a top-shelf Wii U eShop game, bringing a wide selection of modes and options that can all be played with a stupid amount of players at once. It’s frantic and insane, but in the best way possible. 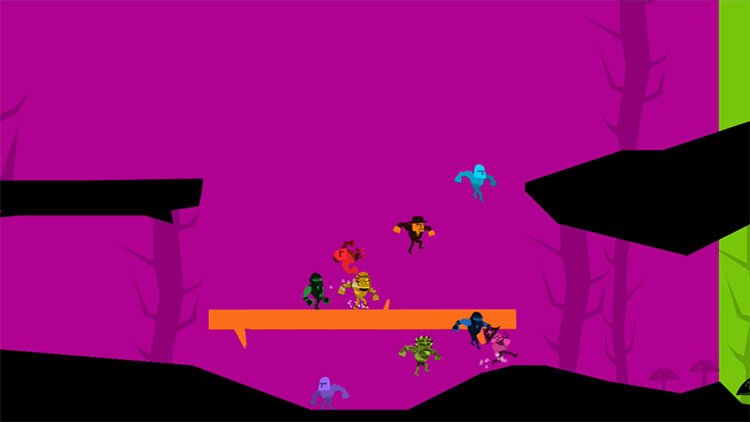 It works best as a party game, but even those just looking for a fun, difficult platformer should get ready to Runbow. My first win took me 33 minutes and 73 deaths to complete, and it's also playable both solo and with friends. You can't save mid-session, so you'll have to make do with one full run with as few deaths as you can spare. Online play couldn't be tested at the time of this writing, but the fact that it's included in an indie game like this is a godsend. 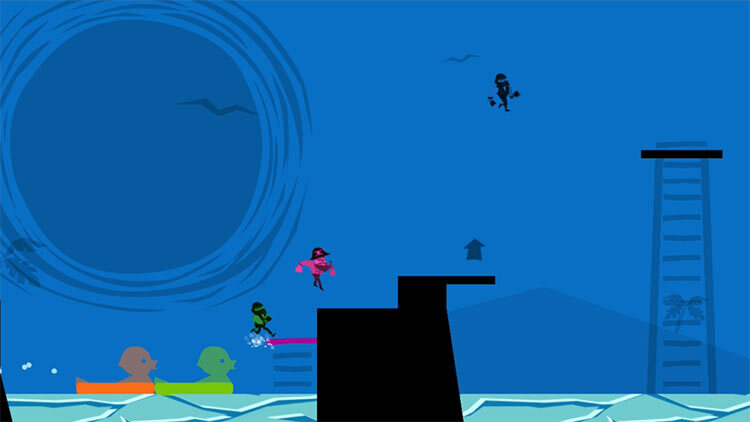 For the price, I'd still recommend Runbow for solo players, as long as you really love platforming. Even if you only enjoy the genre just a little though, it's still a fantastic party game. Local party multiplayer has definitely taken a hit in recent years, but games like Runbow prove that they very much still have a place in today’s gaming realm. Offering a splendid amount of content in one package that can be enjoyed in both single and multiplayer, the colorful Runbow easily deserves a spot in the party game lineup for any Wii U owner. As mentioned in the opening, Runbow is easily one of the best games that has graced the Wii U; it's a game that is very Nintendo in every single aspect, from concept to art and sound direction, to the point that Nintendo itself has taken the liberty to celebrate a launch party for Runbow at the Nintendo World Store in NYC. If you love party games, Runbow is definitely a game to add to your library, even for the single player Adventure mode it’s worth it. There are hours of replay-ability in the Adventure and Bowhemoth modes, tons of unlockable content, and of course hours of fun online or local multiplayer. With six different game modes you’ll never get bored. This is a game you don’t want to miss out on; so pick your favourite controller, invite some friends over, and start the party. At its heart, Runbow is a game to break out during a big gathering, rather than play on your own. Nothing is more fun than hooking up controllers and playing with a whole bunch of your friends for a night, and Runbow offers that in spades, provided you have all the Wii Remotes and attachments at your disposal. 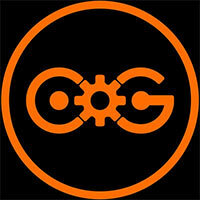 It’s the perfect fit for the design philosophy of Nintendo’s consoles lately and a great debut from 13AM Games. No esperábamos hallar un juego multijugador tan divertido y original como es Runbow. La posibilidad de poder jugar con hasta ocho participantes más es un récord, pero lo mejor es que cada partida resulta desafiante, fresca, original y adictiva. ¡Y además posee dos modos de juego individuales extraordinarios! Uno de los mejores títulos de Wii U de este año. Las fases se desarrollan en las entrañas de un monstruo gigante. Es todo un homenaje a los inicios del género, ya que si abandonamos la partida, tenemos que volver a empezar desde cero, sumado a que sus niveles no son precisamente fáciles. Se puede intentar solo o en compañía. En este modo, la pantalla nos muestra el tiempo que llevamos en nuestro empeño por completar la odisea y el número de muertes que acumulamos. Tenemos un juego divertidísimo y muy adictivo que se convertirá en una de nuestras elecciones favoritas cada vez que nuestros amigos vengan a casa para jugar a la consola, llevando los "party games" a un terreno mucho más exigente de lo habitual, aunque con las suficientes opciones de configuración como para que sepa divertir a todo el mundo. Runbow es una grata sorpresa para el catálogo de juegos descargables de la eShop, que recibe un plataformas imprescindible para los amantes del género. ...Cuenta con ciertos contratiempos técnicos y la modalidad Arena no está a la altura de las demás, siendo excesivamente caótica y poco satisfactoria a la larga, pero esto no quita que estemos ante un plataformas sorprendente, original y repleto de modos de juego para disfrutar, sobre todo, en compañía. Runbow é um bom jogo de plataformas com uma execução muito satisfatória. 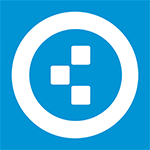 Tem como objectivo proporcionar uma boa experiência multijogador, algo que consegue atingir muito bem. Não será um jogo para horas a fio, pois as modalidades não diferem muito entre si e requer alguma habituação por parte de quem joga, criando um fosso entre os mais experientes e os menos habituados ao género. Il debutto di 13AM Games è di quelli da ricordare e Wii U può vantare una nuova, piccola, esclusiva davvero degna di nota. Runbow è divertente e intelligente e nonostante qualche imperfezione data dall'inesperienza, da giocare è spesso intrigante e stimolante. La sua vera forza sta nel multiplayer, peccato che online sia difficilissimo trovare qualcuno con cui confrontarsi. Un problema non da poco. Runbow è un esperimento riuscito, divertente e originale, capace di amalgamare il genere platform alle dinamiche di condivisione tipiche dei party game. Non si prende troppo sul serio ma garantisce un'esperienza di buona qualità ad un prezzo esiguo. E' una valida alternativa alle consuete partite di gruppo a Mario Kart, ma non impedisce nemmeno qualche sessione più tranquilla da soli o in compagnia di un singolo amico. Consigliato a tutti i possessori di Wii U.